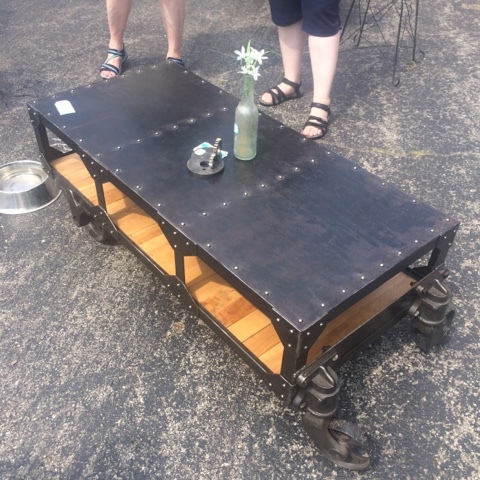 Looking for a cool and unique way to spend a sunny Saturday in Chicago? 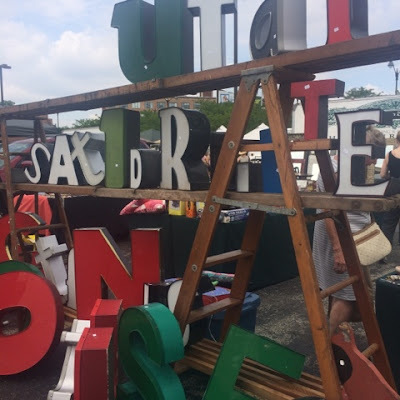 Get yourself down to the West Loop for the Randolph Street Market Festival! It's a little belated, but summer has finally arrived in Chicago and I've been doing my best to take advantage of this sunshine before the snow returns. On a recent Saturday when a few of my best girlfriends Alexis and Mere were both available (it's rare to find a summer weekend when all three of us are in Chicago and also free), we decided to meet up for brunch on Randolph Street and follow it up with a little shopping at the market. A perfect girls' Saturday out. Before I get to the market, can we just pay a little attention to brunch? 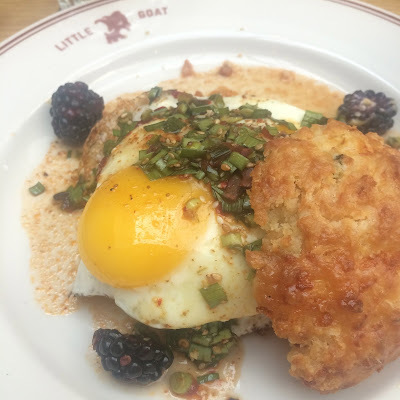 We met at Little Goat Diner and while I have been for both lunch and dinner a while back, this was both of the girls' first time-- and my first brunch there. 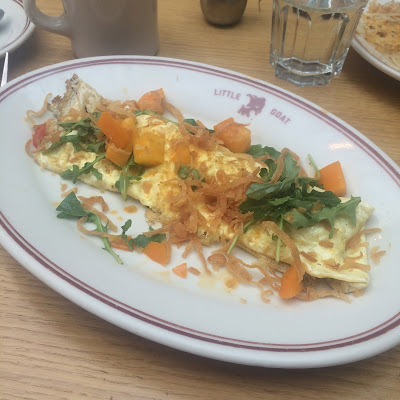 I ordered their omelet of the day: a BLT omelet stuffed with bacon cream cheese and topped with arugula and fresh tomatoes. So filling and so delicious! 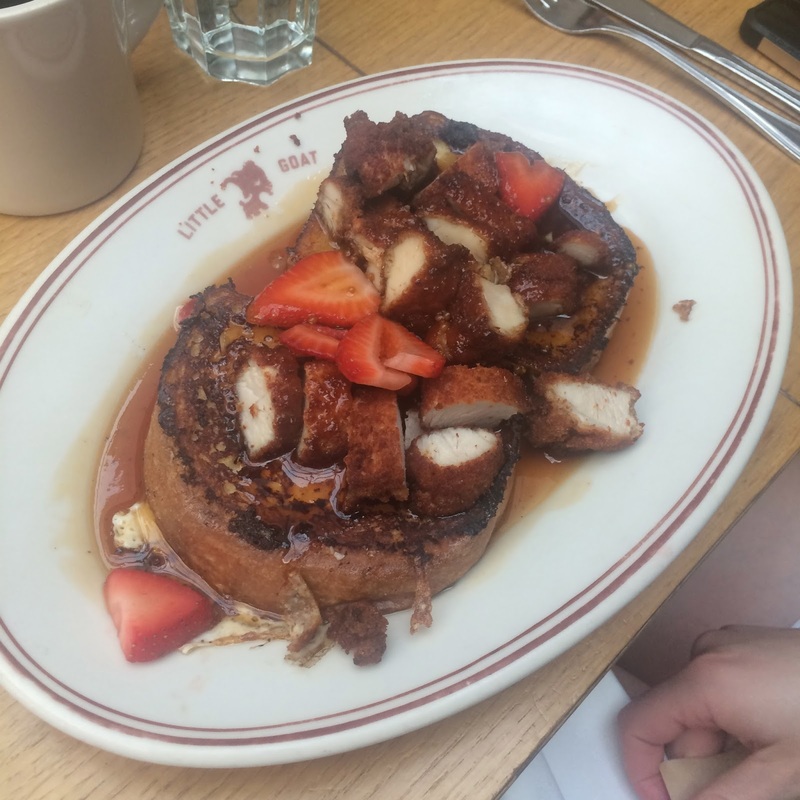 And Mere's bullseye French toast (with fried chicken) and Alexis's This Little Piggy Went to China (a sesame biscuit with eggs and spicy Szechuan sausage) were both on point as well with both the decadence and creativity you can expect from chef Stephanie Izard's menus. Our loft has a lot of exposed concrete so I have really gravitated toward a modern industrial look when it comes to decorating and furnishing it. I fell in love with the cool refurbished industrial furniture we found at the market! 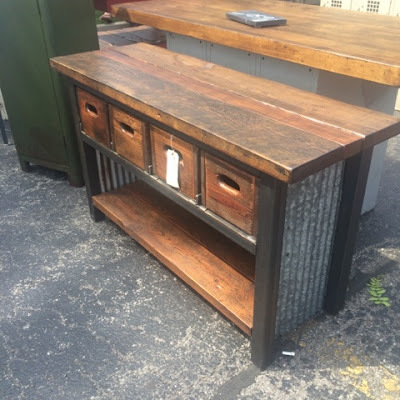 I would love to use this buffet as a bar and this coffee table really caught my eye... It could end up in our living room very soon! 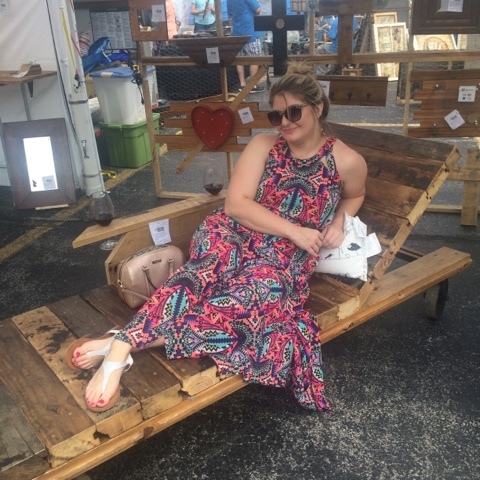 Alexis found this fabulous reclaimed wood lounger that is unfortunately, much too large for my current patio. Please note that the arm holds not one, but two wine glasses. Perfect for a lazy summer day of lounging outside. I also loved these cool metal letters and phrases. They're all different shapes, colors, and sizes and it would so fun to spell something out-- or just hang a big 'A' on our wall (for A Squared, of course). 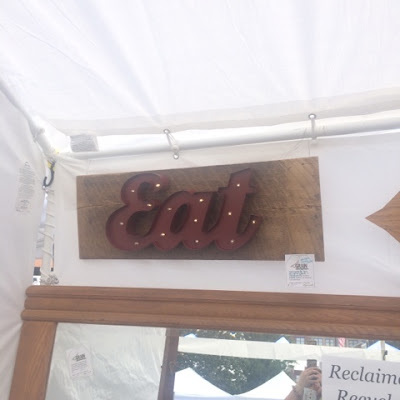 And what food blogger wouldn't want a sign that says "eat" hanging in their kitchen? 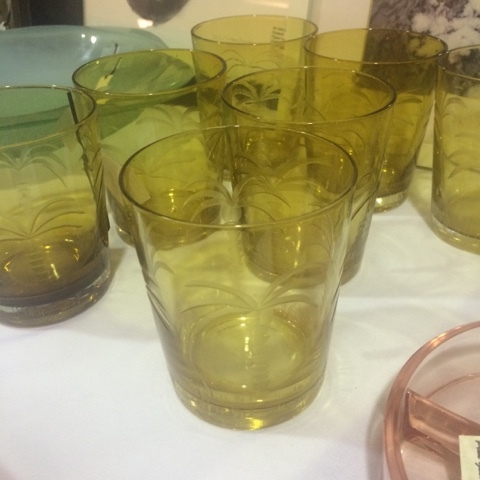 And while kitschy vintage items stents usually my thing, I really loved this set of old palm tree tumblers. 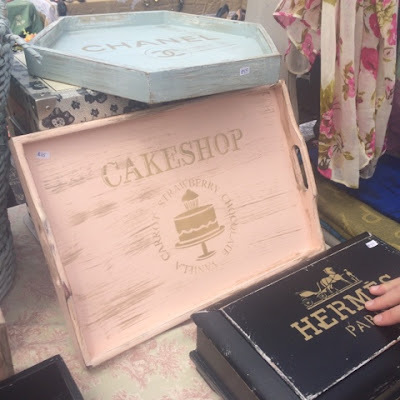 Wouldn't they be perfect for serving a summery punch? 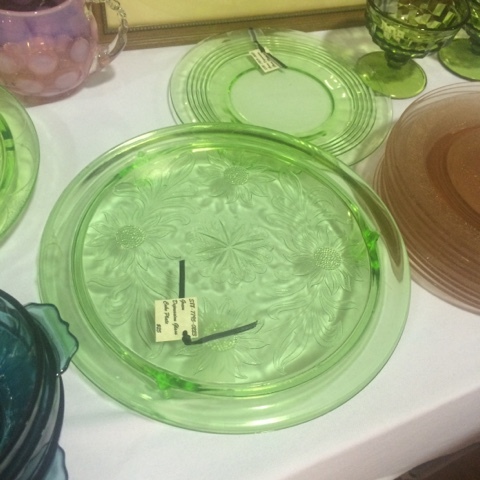 At the same vendor's table I found this vintage glass cake plate, which I actually own! My aunt gifted me this same cake plate (which once belonged to my Oma) at my bridal shower. There were also several vendors selling handmade items, which I wasn't really expecting. 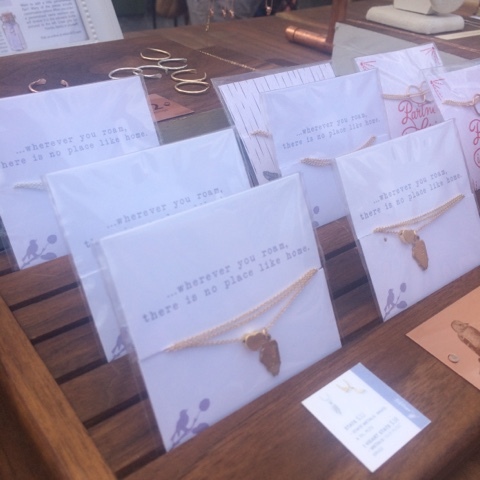 These dainty state pendants were beautiful and I think all three of us contemplated buying one (a Michigan mitten for me, of course). And these bud vase holders were right up my alley-- a little rustic, a little modern and made from wood salvaged from demolished Chicago buildings. I think one of these would look great in our place. 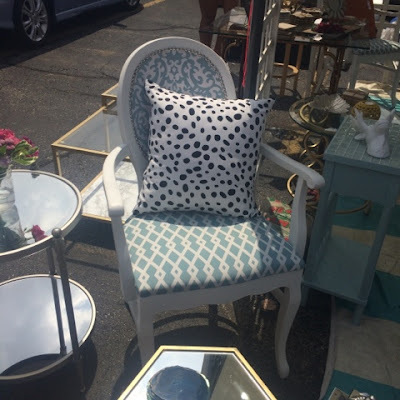 I fell in love with this refinished and reupholstered chair. I loved the fabric pattern against the white wood and it was a complete steal-- less than $200 for a set of these chairs! 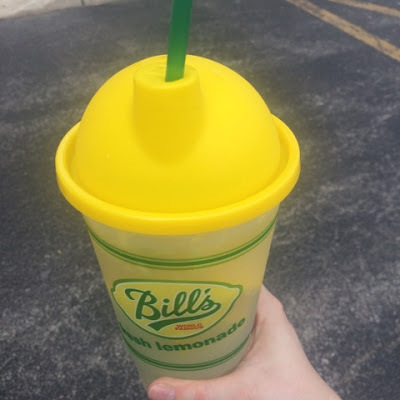 I would also point out that it was HOT when we visited the market, so a stop at the Bill's fresh lemonade stand was a must. This lemonade was delicious and really fresh-- like they squeezed the lemons right in front of us! It was a huge cup and the perfect beverage to carry around and keep me cool during the walk. 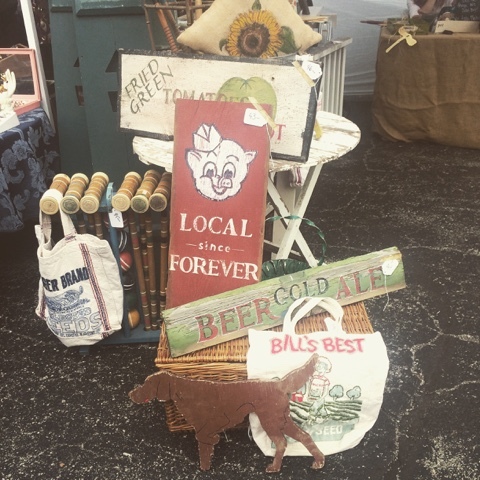 I'm so glad we checked out the Randolph Street Market Festival and would love to return again! There were so many unique finds there and I could have spent hours more looking at it all. 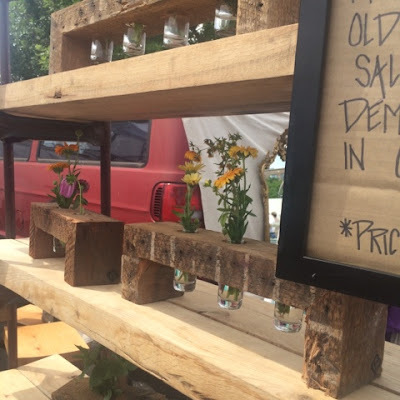 The next market is coming up on August 29 and 30, so check out their site for details and to get your tickets! We definitely will! Had a great time!